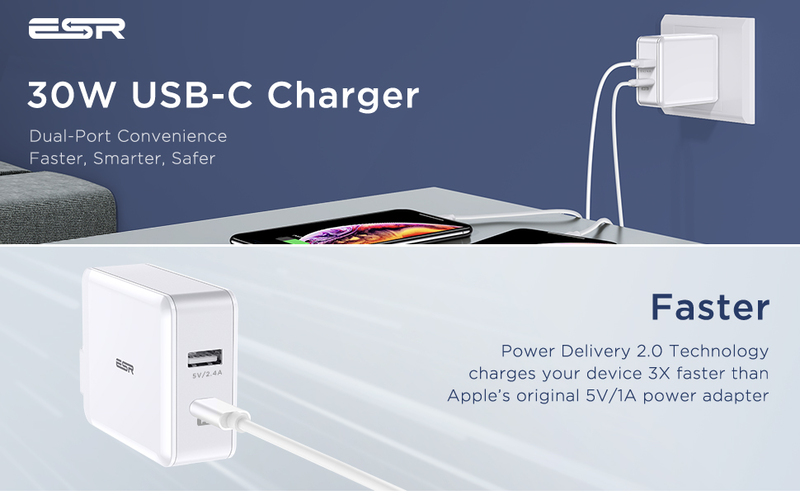 Fast Charge Technology: Nearly 3X faster than traditional charging speeds. 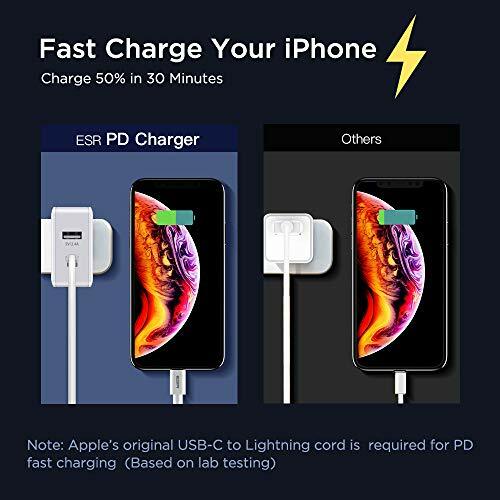 Fast charge all USB-C compatible devices that support PD fast charging. 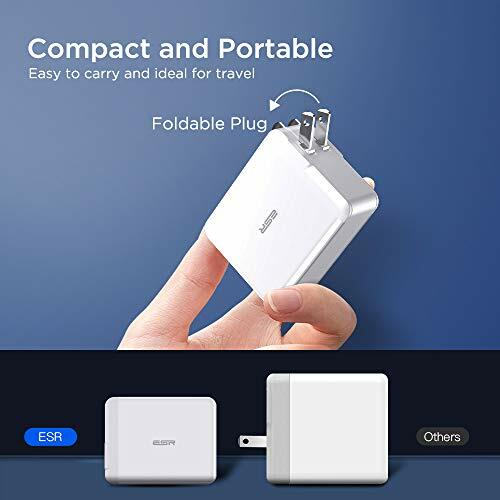 Premium and Portable: The foldable plug and compact design make the charger an ideal choice for home, office, and travel use. 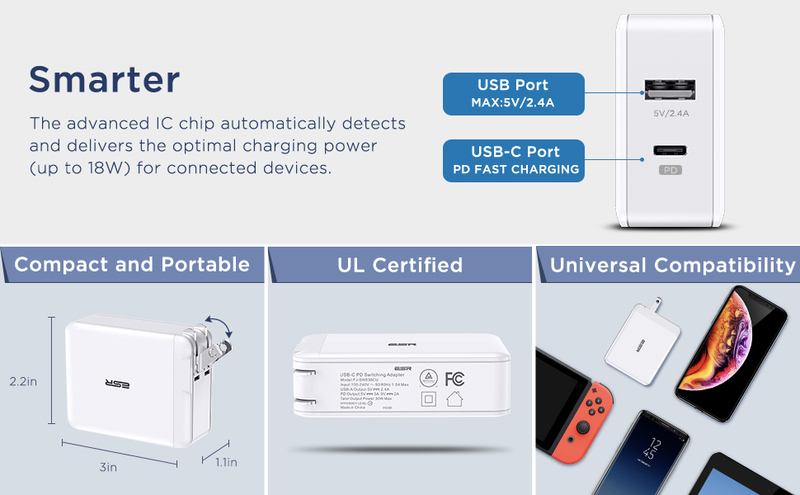 The ports have been tested to withstand over 10,000 uses and the charger has been engineered to withstand continuous charging for a minimum of 10,000 hours, giving you quality you can rely on. I like having the multiple port types in a single adapter. 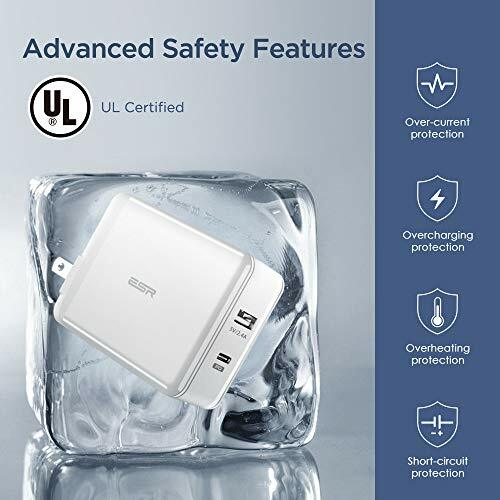 It makes charging my devices easier when I travel. Sturdy braided cord with flexible silicon at plug end to protect against damage to high stress area. 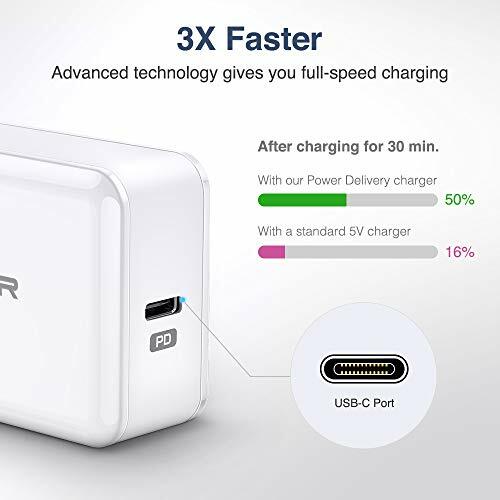 Fast charger. 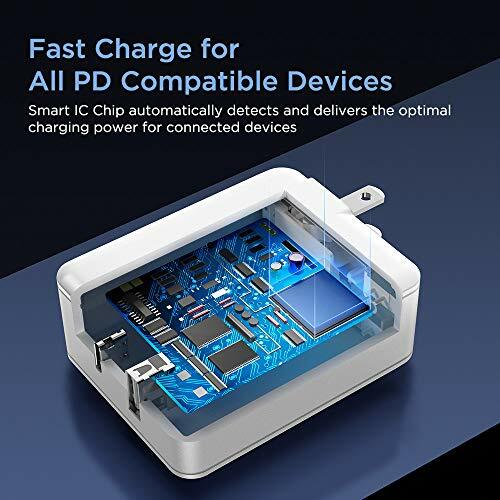 Loved it , works great! 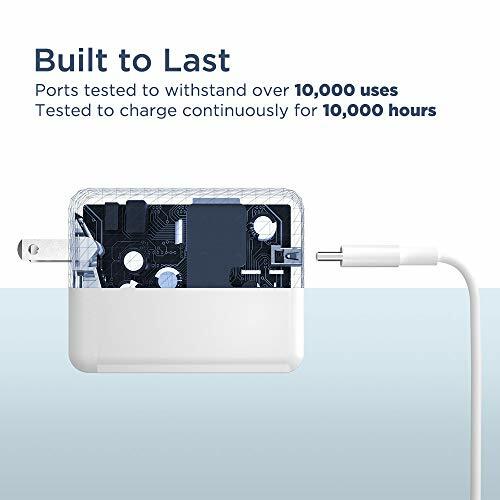 The product does exactly as advertised. 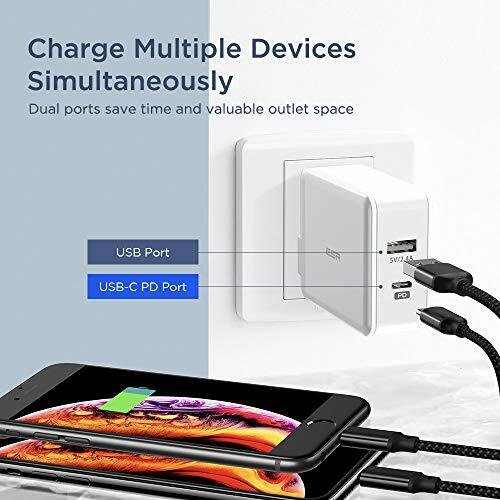 Having both a USB C and regular USB connection is what makes this product a go to product when traveling.